Lilian Greenwood MP cames to The Meadows as part of the annual Summer tour of the constituency and held coffee morning in Brookfield Court to hear of local concerns including construction timetables and crime, and visited the Community Information day run at Bridgeway Shopping Centre. Highight was beating a team of 6 in Connect 4! 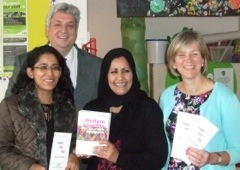 From the Meadows Week of Action finale, at the Meadows Children Centre. Notts County Football in the Community entertain children from Greenfields years 1 and 2. 20mph speed limit information stall. 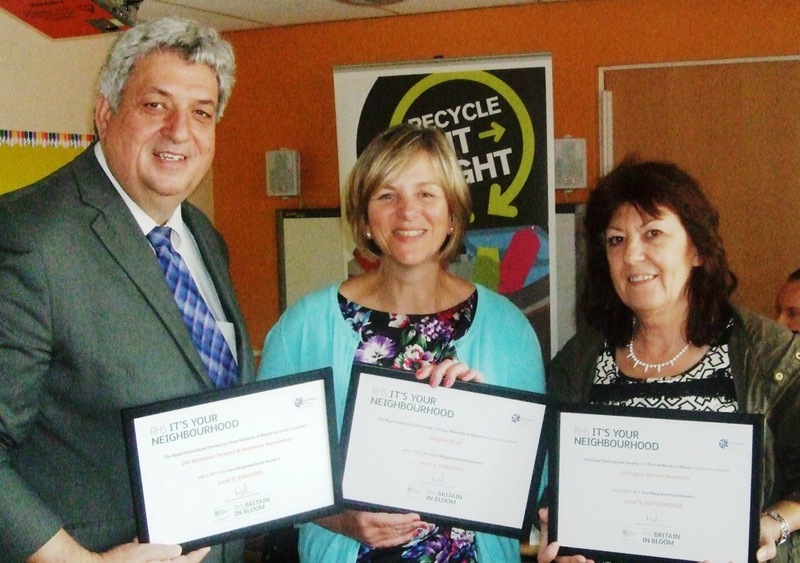 Recycling small scale electrical waste. City Council, One Stop Shop and Meadows Partnership Trust promoting job opprtunities and apprenticeships. Meadows in Bloom certificates, with Jackie Le Huquet. 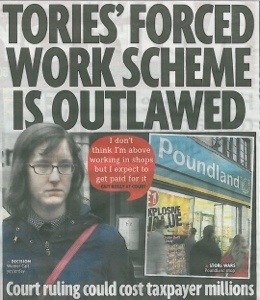 Another Gov’t failure on helping people to work, here as reported by the Daily Mirror. We can do better. IAG – (National Careers Service) from 1st April 2012 – January 2013 : have supported 780 People aged 19+ from Meadows and Clifton area. Ignite – (NEET young person’s 14 – 19 project) from 1st April 2012 – January 2013: have supported 80 young people with to date supporting 8 to stay in school provision, 25 progressing into Collage 10 into full time work and 8 into sustained apprenticeships. Supporting Families (with multiple barriers) – From 1st April 2012 – January 2013: have supported and continue to support 27 Families. In January 2013 due to financial concerns within this project OSS have had to re profile with Working Links and reduce this contract by 50%; as from 1st February we will only be supporting families from the Meadows and Clifton area. Work Clubs (Meadows and Clifton) From July 2012 – January 2013: have supported 160 individuals with employability skills and one to one support which has helped 45 people back into education / training, 44 people into Employment and 29 people into Voluntary work.